Since before the current season of CW's superhero shows even got started, the producers of Supergirl, The Flash, Arrow, and Legends of Tomorrow have been hyping a huge crossover between all four shows. 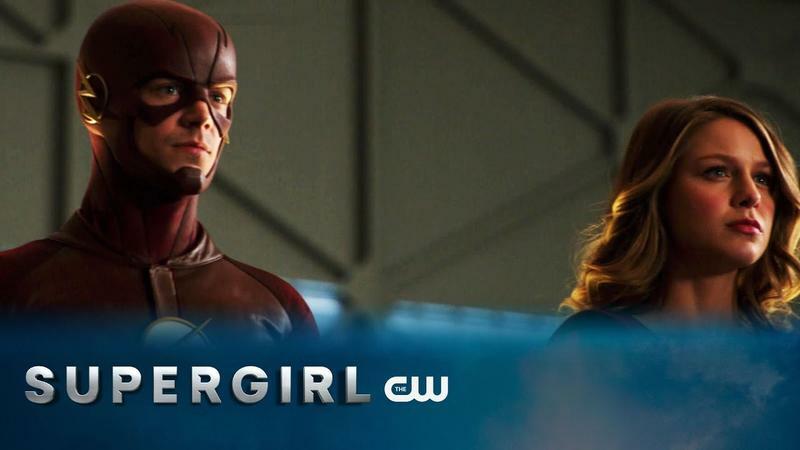 The crossover is set to start in two weeks, and the CW has unleashed the second trailer for the event, but the first look at the Dominators. It's a short trailer, but it has plenty to unpack. The Dominators serve as the primary villain for the crossover. Executive producer Marc Guggenheim said the team behind the crossover is "using cutting edge prosthetics and computer effects to achieve a feature film-quality look which is faithful to Invasion! artist Todd McFarlane's interpretation of the characters." The look we get at the aliens isn't long enough to really tell one way or the other, but the quick glimpse suggests he's not exaggerating too much. In the comics, the Dominators come to Earth in search of the genes that have allowed so many metahumans to exist in one place. The event in the comics became a huge crossover there as well, called Invasion! We also get a quick peek at the return of one of the best parts of Arrow, the mercenary Deathstroke, with Manu Bennett reprising his role from the first two seasons of Arrow. As Deathstroke is a mercenary, I wouldn't be surprised to see him playing a less antagonistic role, as his survival requires that Earth survives as well. There's even an unfamiliar face or two in the trailer if you pause it and look carefully. With three full episodes and the tail end of Supergirl to tinker with this stuff, we're hoping for plenty more easter eggs, returning characters, and maybe some new ones. The whole event kicks off on Monday, November 28 at the end of that week's Supergirl episode, and continues up through Legends of Tomorrow on December 1.